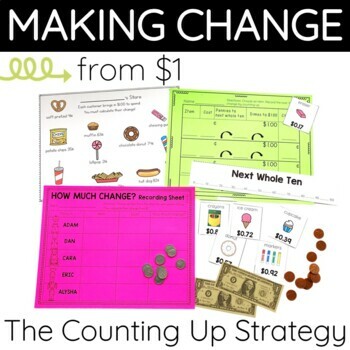 This product includes excellent resources for teaching counting up to make change. 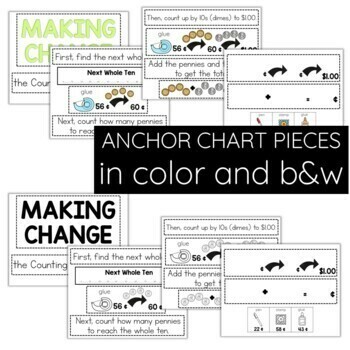 The way it is presented includes using pennies and dimes ONLY in order to find change from $1.00. 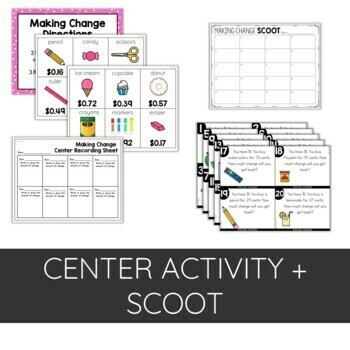 It also includes printables which students can choose what coins they use to pay for an item. 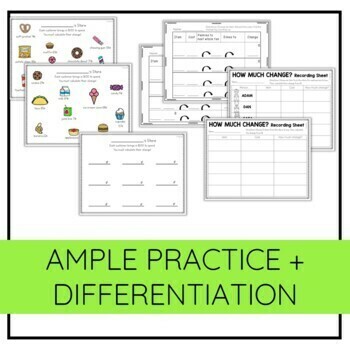 I just taught two lessons using these resources and my students were SO successful I couldn't wait to share them.